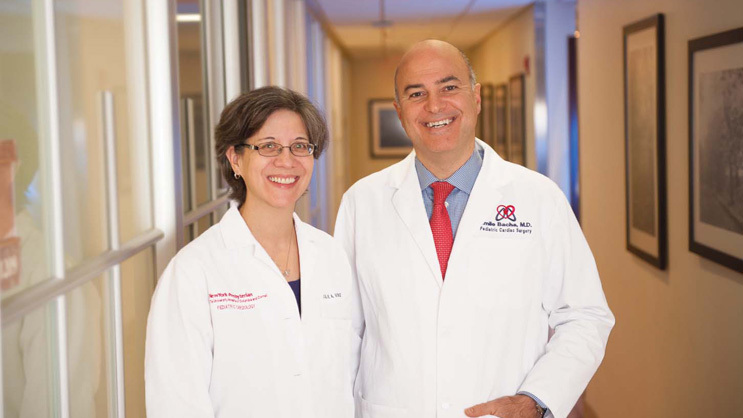 Dr. Emile Bacha is featured on ABC's "The View", discussing the important work being done to treat pediatric heart disease at Morgan Stanley Children's Hospital at NewYork-Presbyterian/Columbia University Medical Center. A recent study shows that transcatheter aortic valve replacement (TAVR) is a successful approach for aortic stenosis patients who are too sick to undergo traditional surgery. Koji Takeda, MD, PhD, is a recently appointed faculty member of the Section of Cardiac Surgery at NewYork-Presbyterian/Columbia University Medical Center. Dr. Emile Bacha publishes a review of minimally invasive pediatric heart surgery techniques in Nature Reviews Cardiology.